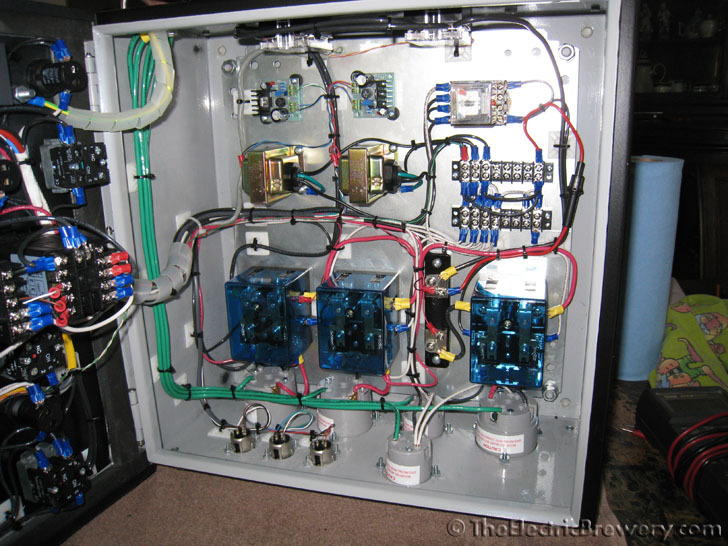 With his permission, below is an email and pictures from one of our customers (Sean D.) who recently purchased our Standard 30A Control Panel Kit so that he could assemble it himself following our free instructions. Sean did an exceptional job building his panel. Very nice work indeed - he should be very proud! 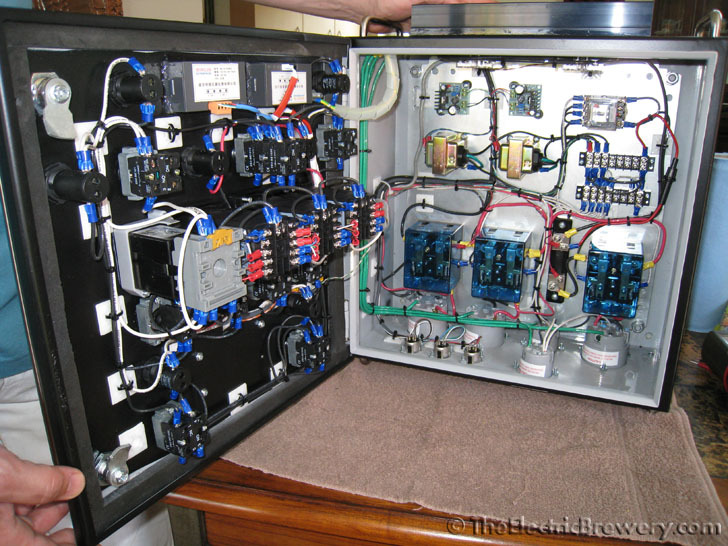 Everything lined up nicely on the outside, and clean wiring on the inside. 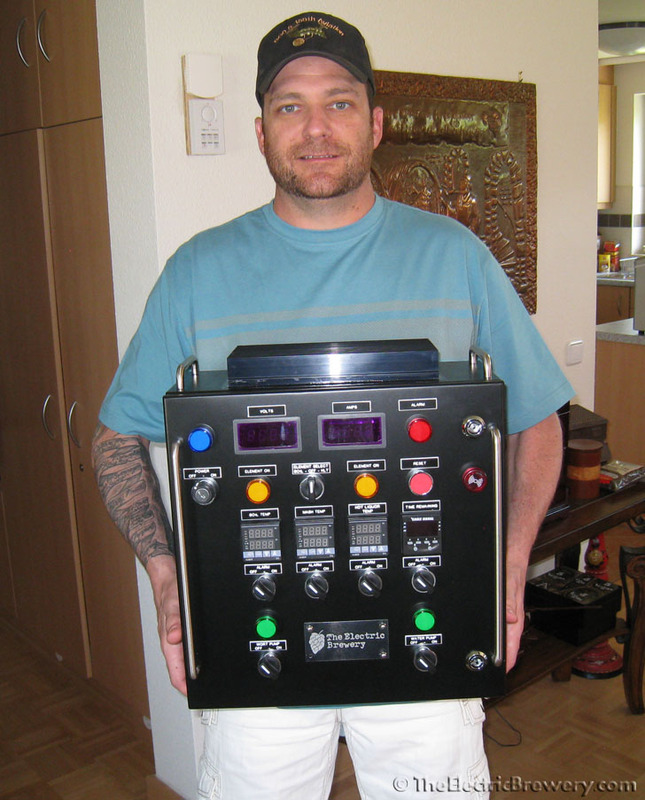 Just thought I would send you a quick note to let you know I finished the Control Panel build and to say thank you. This was an awesome project and your instructions were very easy to follow. I was a little worried that I may need an electrical engineering degree, but I didnt, I actually learned a lot I had a LOT of fun building it. 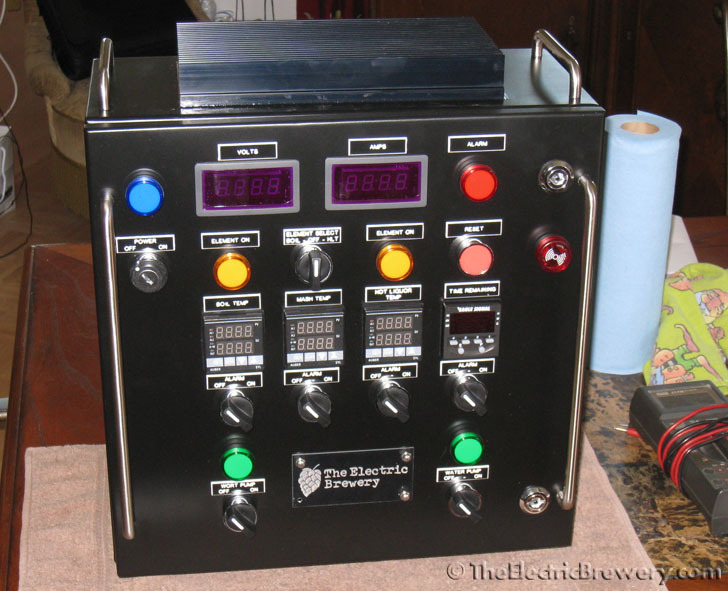 This was step one of the project and being stationed in Germany I have no real way of "testing" to make sure everything was put together right...but as soon as I get back to the states I will be getting in contact with you for the rest of the build; I can't wait to brew the first batch! 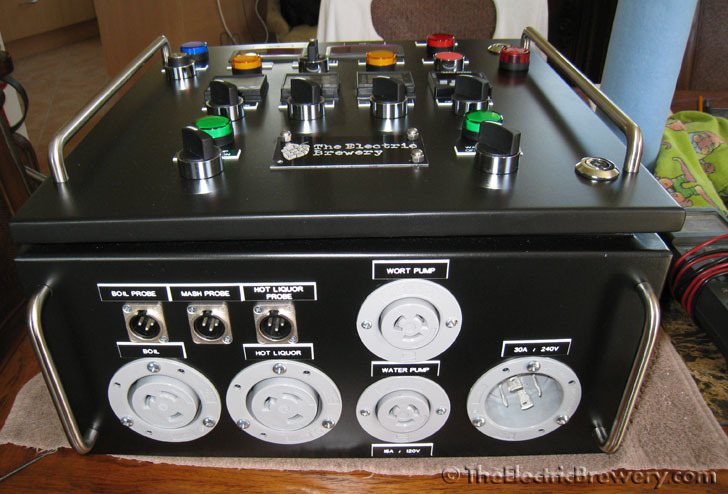 I have attached a few pics of my completed Control Panel...thanks again for everything. 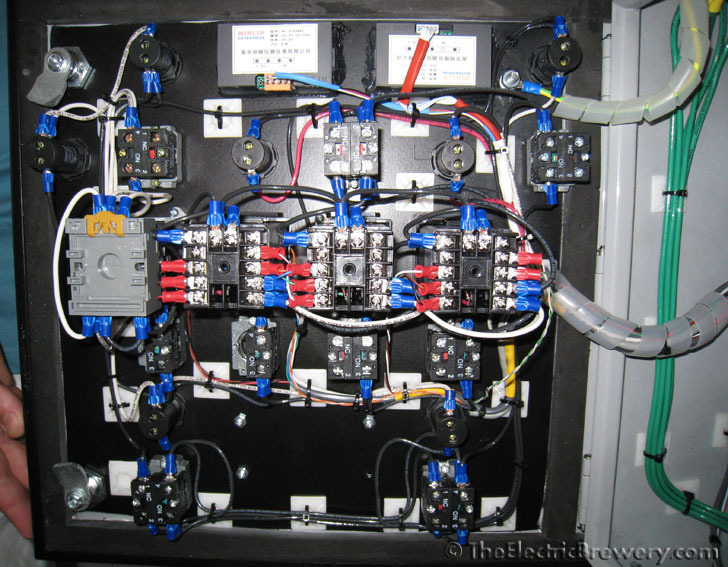 He did a great job on the wiring. Mine is considerably more jumbled.